It’s a great time to be a soccer fan – the next World Cup will be happening in 2018, and with the rising popularity of the MLS (Major League Soccer), more and more people are getting into the game. 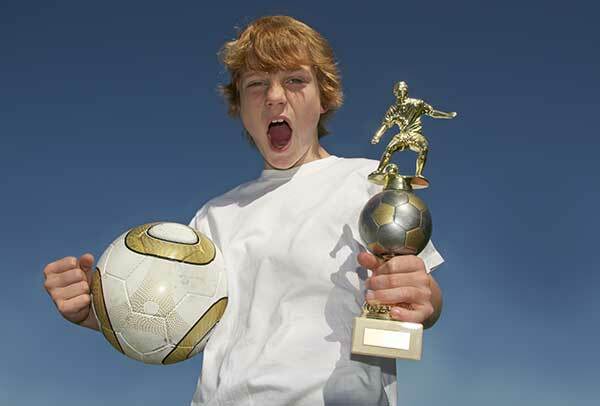 We’ve already covered many of the reasons why it’s a good idea for your child to get into soccer in a previous post. So today we’ll be talking about what being in a good team and having a good coach can do to bring your child’s experience to the next level. Why join a team? Why not just play amongst ourselves? While it’s certainly possible for your child to enjoy themselves with soccer’s bare necessities (which are, famously – a child, a ball and a wall), as parents we want them to enjoy themselves to the fullest. Getting exposed to basic strategy, technique and teamwork at the most critical ages (7 to 12 years old) can set your child up for valuable lessons and attitudes that they will carry with them their whole lives. All of these naturally flow from the coach’s instruction since they’re the ones who dictate team strategy, composition and tactics. Let’s take a look at what you should be mindful of when scouting for your child’s new coach. The most important thing your child’s team and coach should do is to foster a safe environment. By this we don’t just mean safety in the sense that they’re protected from injury on the field, but also free from judgment and ridicule both on and off the field. Your child will encounter other children of all shapes, sizes and colors while playing soccer. One of the draws of this beautiful game is that there’s a role suitable for anyone, no matter their physical features. The coach should lead by example here and crack down on any offenders. There’s no room on any team for bullying. Another aspect of good coaching is the ability to encourage your child to take on new challenges. Many children can be timid and shy when they start playing because they’re scared of making mistakes or doing something “wrong.” Getting them outside of this kind of mindset is something that a good coach will actively do from day one. You should be wary if your child is put into one position and never rotated out to any others. Sure, the coach may be correct that your child will excel at one particular thing, but at the end of the day the game is meant for the children’s enjoyment and development, not the coach’s. Tying into the previous point, once your child has found the position he or she likes, a good coach will let them be creative and attempt to make plays in their position. Some kids want to be forwards and score spectacular goals, some kids want to be midfielders and dazzle other players with skilled footwork, while other kids want to be defenders who can control their entire half of the field. There’s something cool and interesting about every position – and your child should be allowed to experience it! They might not have the technique to pull off the same kinds of plays that pros do, but that’s something that can be learned as time goes by. Incidentally, that’s also another thing that your coach should be doing with your child – steadily teaching new techniques and skills so that their ability scales along with their ambitions. Makes sure that your coach is teaching your child as well as motivating them. Lastly, your child’s coach should also be able to go “hands-off” when your child’s team is playing. There’s a tendency for coaches (and parents) to get so fired up about the game and about their children winning that they want to micromanage every move they make on the field. Of course, as adults we know more about strategy and moment-to-moment tactics, and we have the benefit of seeing the entire field from the sidelines. However, let’s not forget that your child deserves to have the autonomy of making decisions on their own while they’re playing – even if the decisions are ones we don’t necessarily agree with! The important thing is for your child to be able to employ all of their strengths, skills and determination – and to be able to do it on their own. 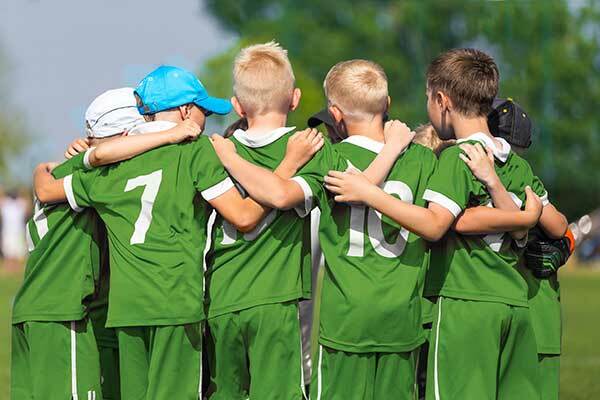 We, as parents and coaches, should be able to set aside our competitive natures in order to create an environment that is challenging while being fun and positive – especially for younger players. 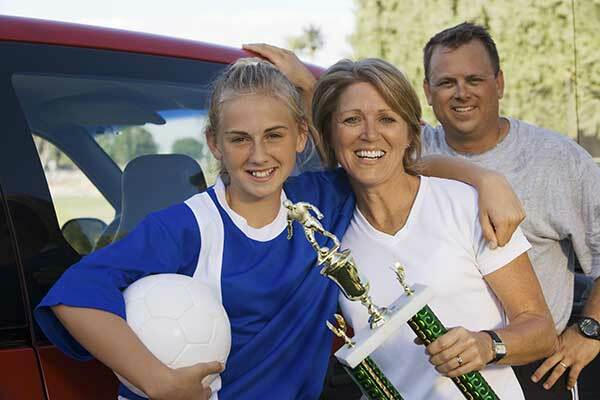 We might think that winning is the end goal of playing the game, but it’s much more important to instill in your child the can-do attitude of a winner – which is something they’ll carry with them beyond the soccer field. This is super cool—seeing all of these trophies lined up just puts into perspective the amount of effort went into designing each one. They're all really well-made and distinctive. Here are some really modern trophies in stunningly designed environments. Clay is a pretty uncommon material for trophies, but we think it works here! "The Dezeen Awards trophy gets many favourable comments from visitors"
How would you display your trophy if you won a Dezeen Award? We asked some of the 2018 winners to share their "shelfies".